What Are the Differences Between the Kia Sorento and Sportage? 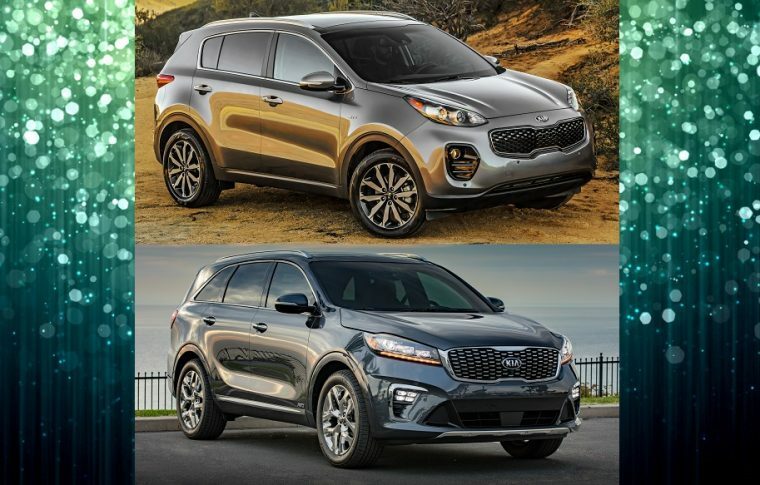 What are the differences between the 2019 Sportage (top) and Sorento (bottom)? At a quick glance, you might think the Kia Sorento and Sportage are the same vehicle. They look around the same size and both feature noticeable design cues like the signature Kia tiger nose grille. But upon closer inspection, you’ll find that each vehicle has its own unique qualities that set it apart from its sibling. If you’re trying to decide between the Sportage and Sorento, learn more about what truly separates these award-winning SUVs. 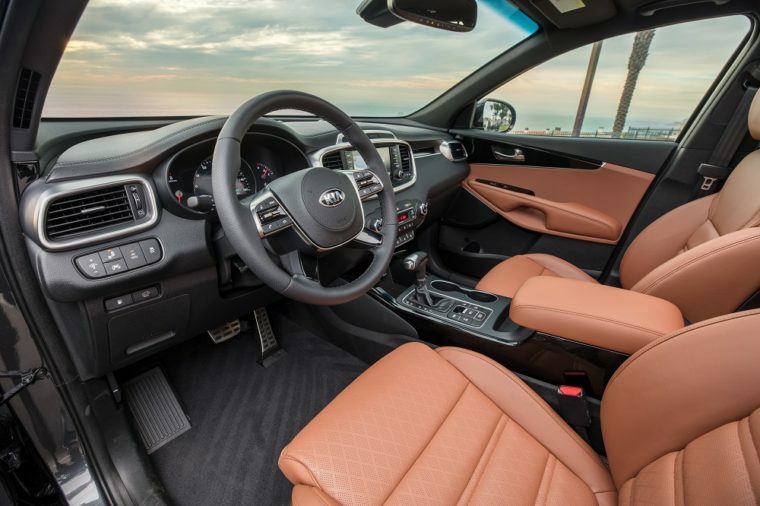 When it comes to overall size, the Sorento is the larger of the two SUVs, coming in at 74.4 inches wide and 189 inches long; the Sportage is 73 inches wide and 176.4 inches long. 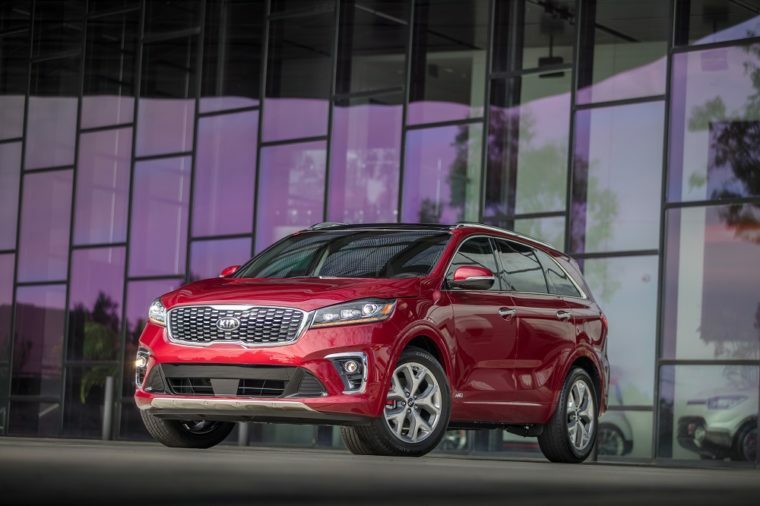 The Sorento also has a bit more ground clearance at 7.3 inches compared to the Sportage and its 6.4-6.8 inches (front-wheel drive vs. all-wheel drive). Inside, the Sportage boasts 39.3 inches of front head room and 39.1 inches of rear head room. 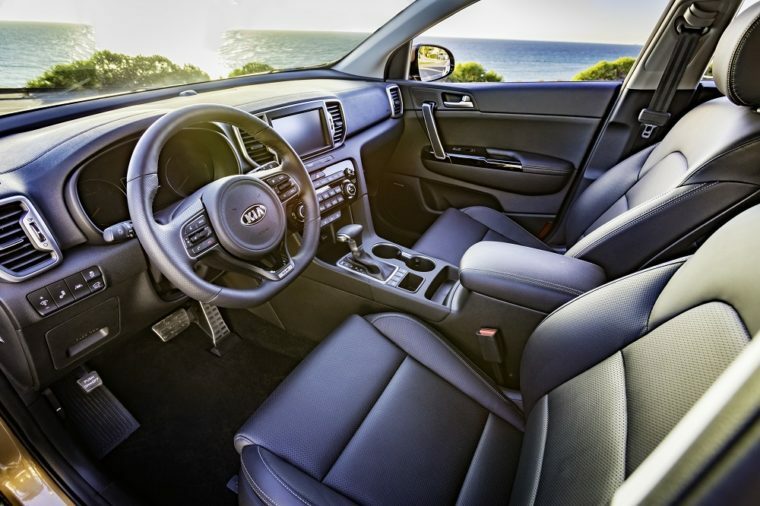 The Sorento is a little bigger, but not by much; the seven-passenger SUV has 39.5 inches of front-row head room along with 39.3 inches in the second row and 36.3 inches in the third row. Leg room in the front is where you might notice the most difference inside each vehicle. The Sportage has 41.5 inches available while the Sorento has 44.1 inches for you and your front passenger to stretch out a bit more. If you’re planning on hauling some cargo in the back with all seats folded down, the Sportage can offer 60.1 cubic inches of space. The Sorento and its two rear rows folded down can offer 73 cubic feet of space in the back. Conclusion: The Sorento is bigger overall, but not by much. The biggest advantage to purchasing the larger SUV is its cargo space offering of 73 cubic feet of space. The 2019 Kia Sportage is available at three trim levels: LX, EX, and SX Turbo. The LX and EX trims are equipped with a 2.4-liter four-cylinder engine that can produce up to 181 horsepower and 175 lb-ft of torque. The SX Turbo model comes with a turbocharged 2.0-liter four-cylinder that can pump out 240 horsepower and 260 lb-ft of torque (when equipped with front-wheel drive). Similarly, you can choose between two engine options on the Sorento among its six trims: L, LX, LX V6, EX V6, SX, and SX Limited. The L and LX trims also have a 2.4-liter four-cylinder engine that can generate up to 185 horsepower and 178 lb-ft of torque (comparable to the LX and EX trims of the Sportage). For the ultimate amount of power, the LX V6, EX V6, SX, and SX Limited trims boast a 3.3-liter V6 under the hood, capable of producing 290 horsepower and 252 lb-ft of torque. Conclusion: Both SUVs offer moderate horsepower and torque on their lower trims. 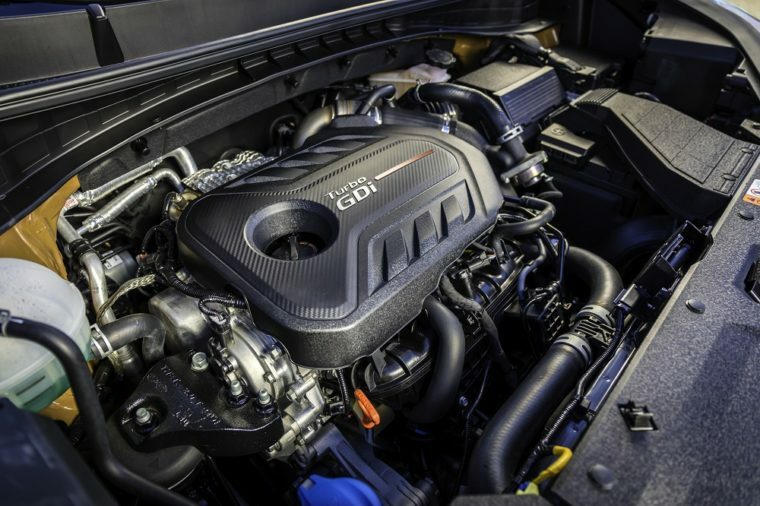 However, the most power can be found with the V6 engine options on the Sorento. With great power comes lower fuel economy. That’s how the saying goes, right? Well, in any case, while the 2019 Kia Sorento can offer more power thanks to its V6 engine options, it lacks in fuel efficiency on those higher trims. Conclusion: If you’re trying to save money at the pump (and at time of purchase), go with the Sportage LX base trim, which has the best fuel economy among all trims, Sorento trims included. 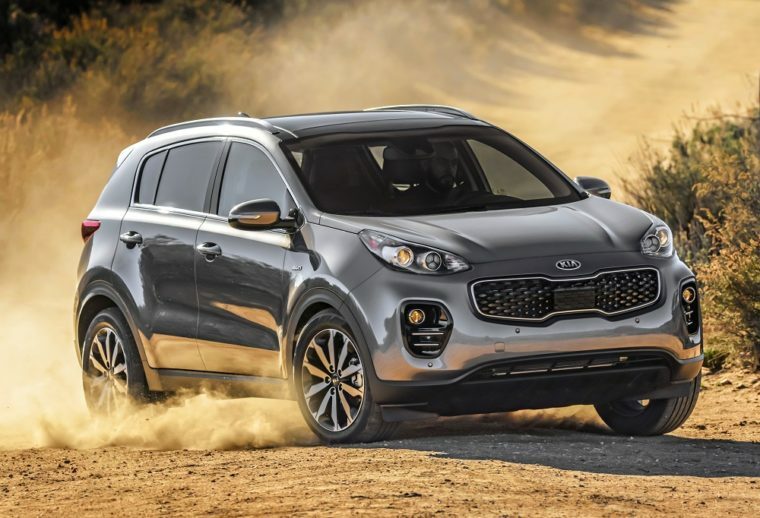 As you can imagine, based on previous information shared regarding size, performance, and fuel economy, the 2019 Kia Sportage has a lower starting price ($23,750 MSRP) than the 2019 Sorento ($26,290). However, when you get to the highest trim of the Sportage, the price is in between the third and fourth trims of the Sorento. It all comes down to what features you need vs. what you want in your new SUV. Conclusion: It’s your decision. The Sportage is cheaper overall, but might be what you need in terms of functionality and standard features. If you want the most premium options of the two models, opt for the Sorento SX Limited trim. Don’t worry; we’re not going to list out every single feature of every trim for both the Sorento and the Sportage. As with most brands and models, the more you pay, the more you get. On the base trims of the Sportage and Sorento, you’ll get standard features like adjustable front seating, power outlets and USB ports, and variable intermittent windshield wipers. Of course, as you go up the trims, more luxurious amenities — like a Harman/Kardon® premium sound system or a heated steering wheel — can be expected. 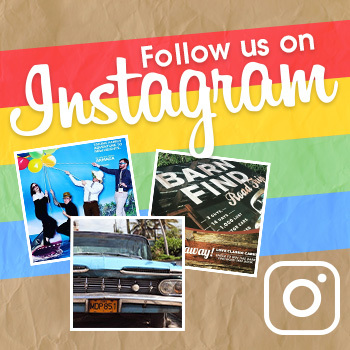 For the full list of features, click on the buttons below.